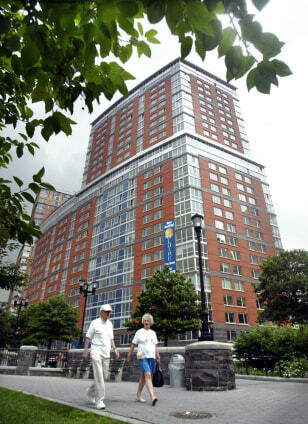 Green buildings include this residential tower in lower Manhattan. The Solaire tower uses 35 percent less energy and 50 percent less potable water than typical buildings. Solar panels help provide electricity.